Yes, CBD is pretty much everywhere these days. Many swear by the effects of incorporating certain CBD oils into their day to help with a multitude of things like stress, anxiety, pain and more. Let’s tackle this together. If you’re not new here, you know actually what the claims for CBD oil are all about. And, most likely, you know how to use it. For those who are new to all of this we’ll help break it down for you so you have some decent choices to start you out and help you understand the different ways it can be used. As always, CBD is a highly provocative and researched topic (even our friends at WebMD are getting in on the action), but one thing that we can all agree on is that ‘no, using it does not get you high.’ That’s because they either do not contain THC (the part that can get you high) or it’s such small trace amounts that it won’t do the trick that way. These oils are said to help some people with things like anxiety, stress, poor sleeping patterns, pain and more. Oh, and some say their pets sweat by it too! As always, we recommend to ask lots of questions or even check in with your doctor to see what their thought is on all of this. 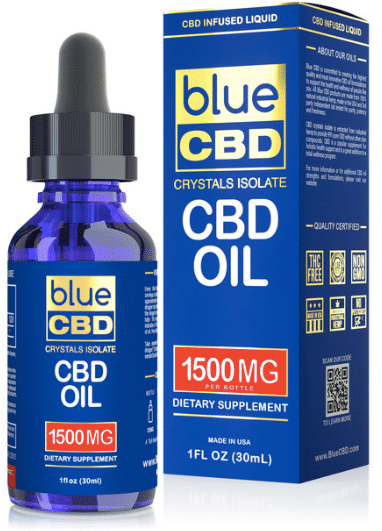 Check out some of our favorite CBD oils (so far) in 2019. Happy shopping! This is one of our faves of the year and can be used in a variety of ways like oral drops, vape liquid, or even topically added to foods. What we love most about this one is that it’s unflavored so there isn’t an odd taste to it. It’s not that we don’t like flavors overall, but sometimes they’re too sweet and if we’re going to add it to food we don’t want to change the taste of the food. Who won’t listen to Tommy Chong of Cheech and Chong when it comes to this?! He’s a pro! This one is made of 100% natural and premium hemp. Even better? This one is made in the good old USA! If you’re looking to destress a bit, this could be your best bet! All you have to do is place a few drops under your tongue and you’re good to go. Some people reported feeling calmer after 20 minutes, while for others it took up to an hour or so. You may have to adjust dosing to see what works best for you. Check out the Latest CBD Gummy Bears We’re Loving Right Now! Which CBD Lotions are Best for Pain Relief and Which are Good For Your Beauty Routine? CBD Dog Treats, Food, and Oil to Check Out For Your Favorite Friend! DiamondCBD is Having a Major Sale Right Now With Up to 40% Off! We’re typically not huge fans of different flavors, but when we want something a little sweet and that isn’t so bland (it’s time to live a little) we were totally digging this strawberry one by Relax. It’s made from organic hemp oil and the flavor actually isn’t too sweet, which works well for us. This one is meticulously made from organic CBD hemp oil. You can choose to vape it when added to e-liquid. If that’s not your jam you can add to some of your favorite foods, drinks, or just use it as a regular topical treatment for some of your aches and pains. This one is 100% natural, made in the USA and was recently reviewed online with 4.5 out of 5 stars from recent customers. Our favorite part? It’s pretty affordable. At last look it was under $40, which is actually decent!